India stole the limelight at the ONGC 2011 Indian Junior & Cadet Open - ITTF Premium Junior Circuit Table Tennis tournament,28 Sep 2011 - 02 Oct 2011, Dehradun, India. Soumyajit aka Royal Bengal Tiger was the star of the show. 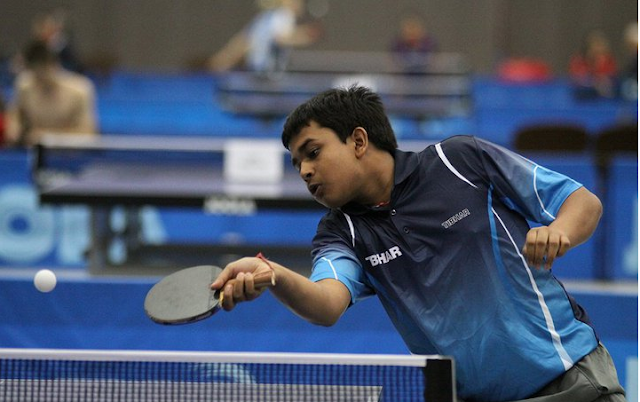 He claimed the Junior Boys Singles and Doubles titles. India's only major loss was the Junior Girls title, where pint-sized Thailand's Pannak Piyaporn beat India's formidable Mallika Bhandarkar and Ankita Das to win the title.